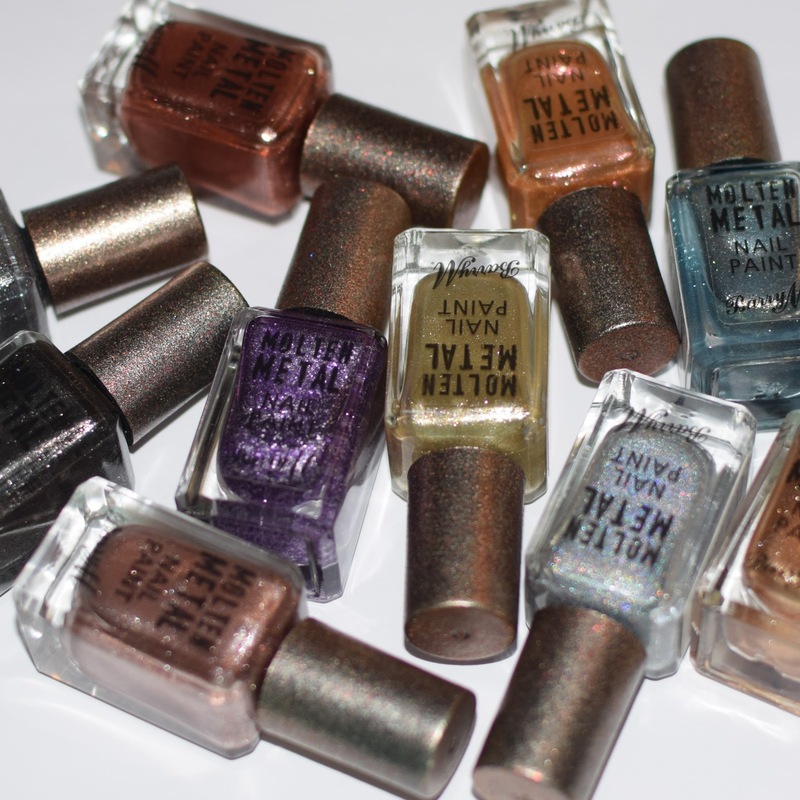 Barry M's Molten Metal collection is one of my all time favourite collections. 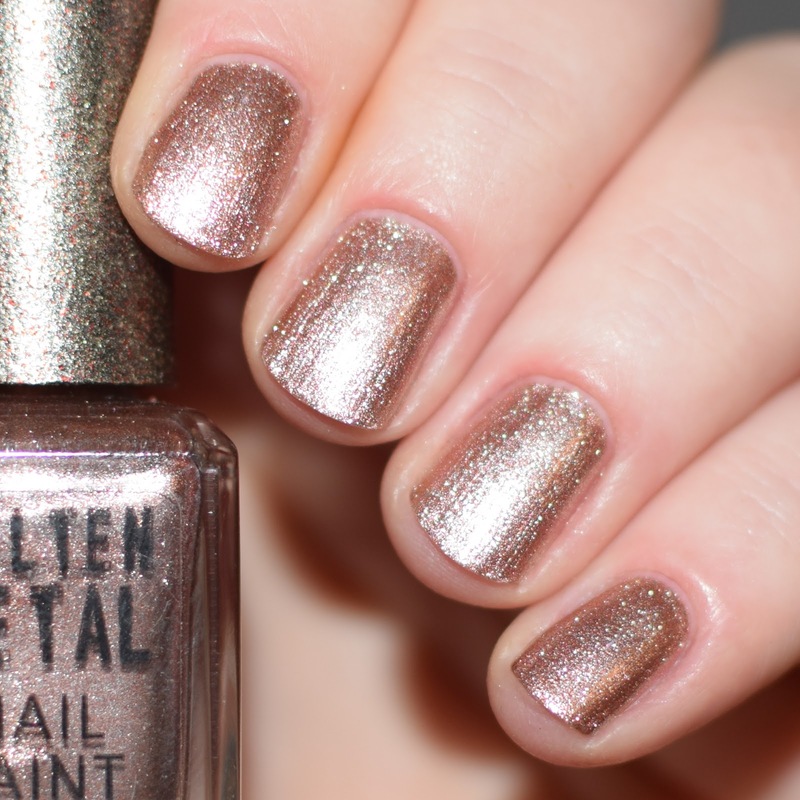 I love pretty much any polish that is glittery, and these beautiful chrome metal-like polishes are definitely glittery. I love gold, anything gold. 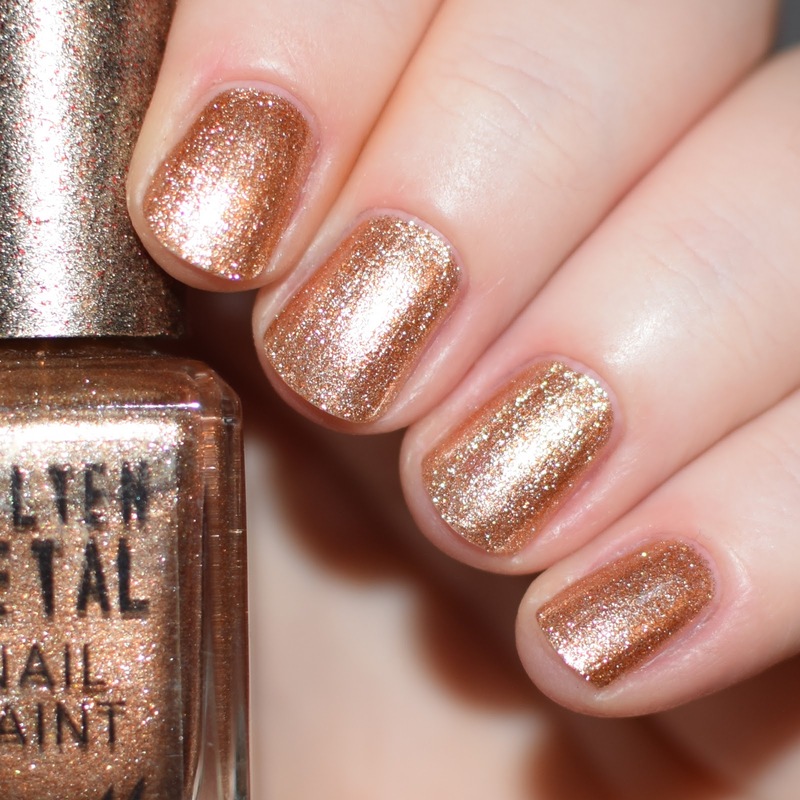 This polish is no exception, and this is probably my favourite gold polish that I own. It's a beautiful bright gold shade. That looks absolutely stunning on my nails. I wear this polishes, A LOT. The gold is a yellow tone, which I love. 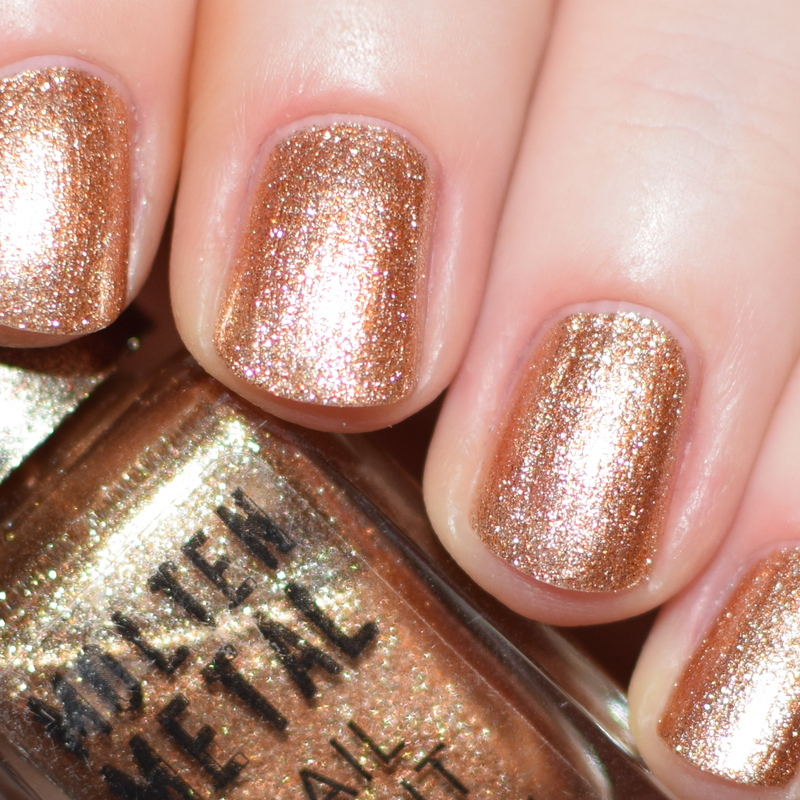 A bright bronze shade, has beautiful copper and gold flecks, and is almost as those Gold Digger and Copper Mine had a baby. 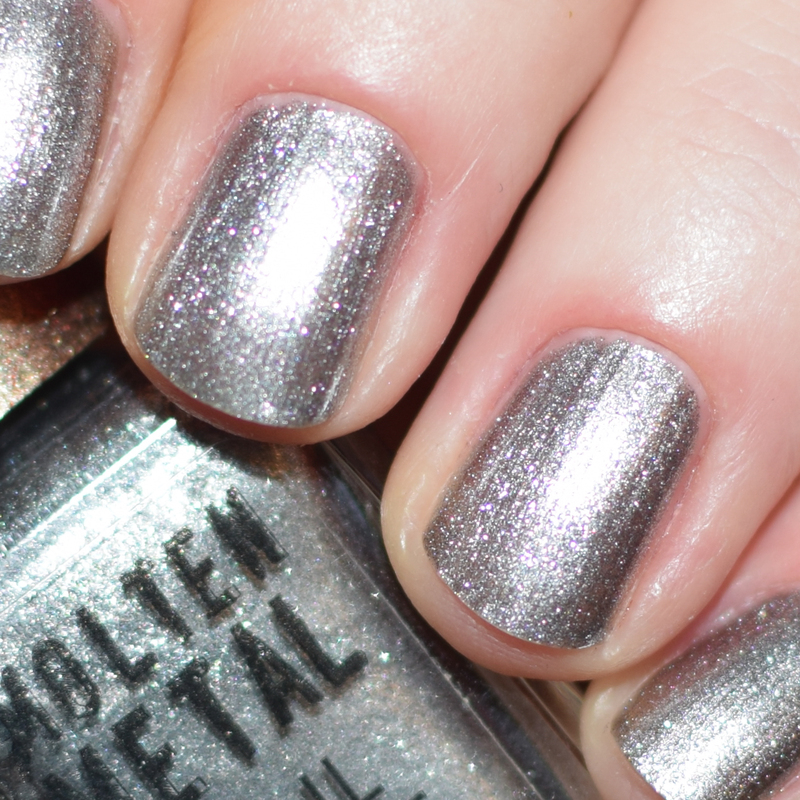 A edgy-looking silver shade, that is almost gun-metal grey. The silver chrome is a mix of light and dark silver/grey. 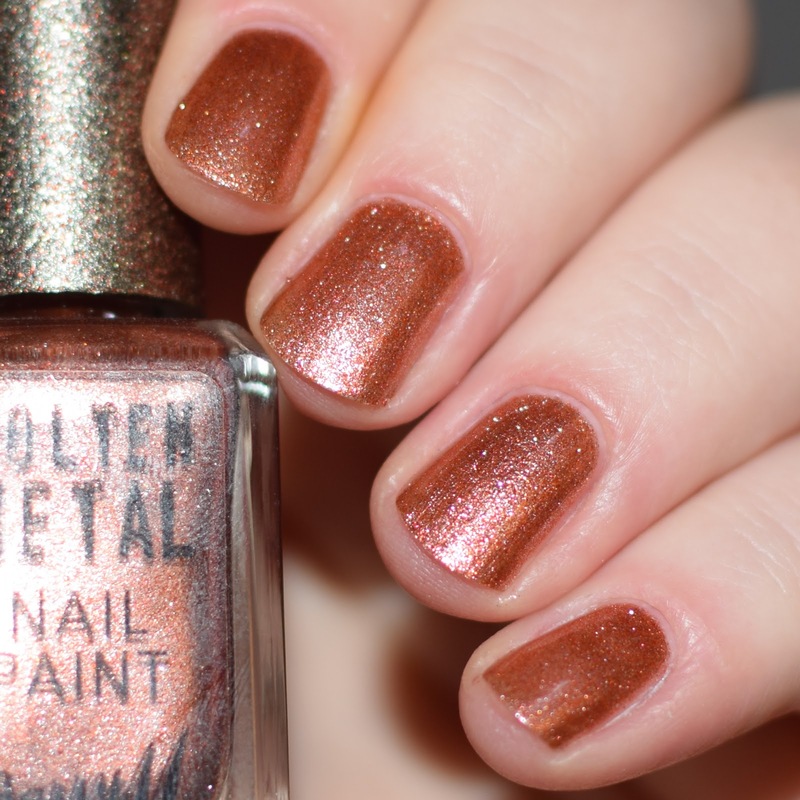 Not the same brightness in tone of Gold Digger, I usually think that gold and silver polishes go well together, but I'm not a fan of these two shades together (although I love them separately). A deeper shade of copper-bronze compared to Bronze Bae, this copper polish has a beautiful red undertone and I prefer this copper one a lot more over the bronze one. Another gold polish in this collection, but nothing like Gold Digger. 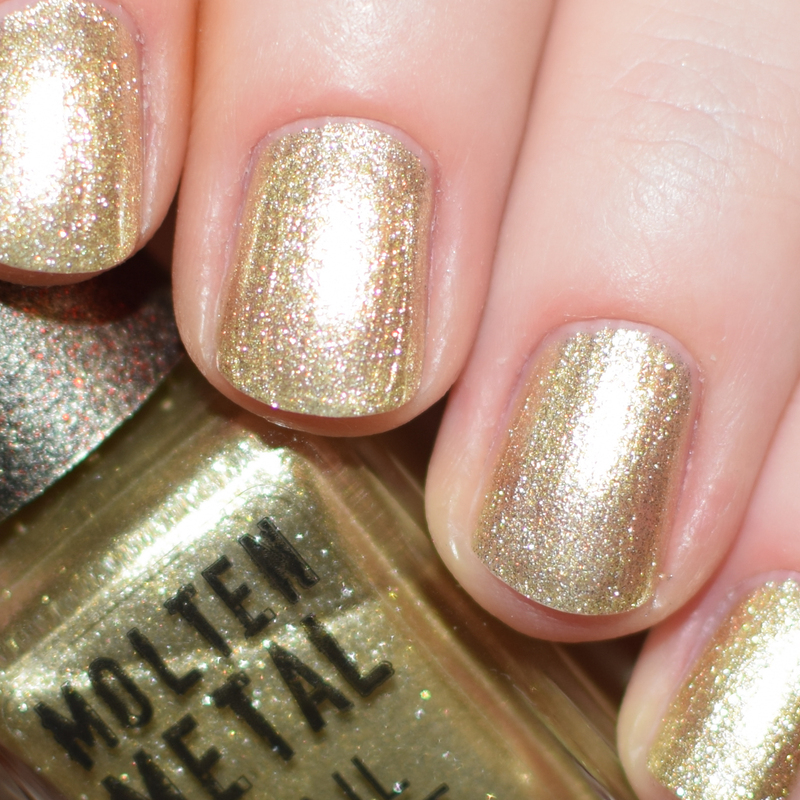 This polish is a duo chrome bronzey-gold polish with flashes yellow and green. Probably the most sheer of all the collection, I am only wearing 2 coats (because I like the finish) but it some lights you'll be able to see a lot of nail line. I love, love, love this polish. It a cool, icy blue and looks absolutely beautiful. 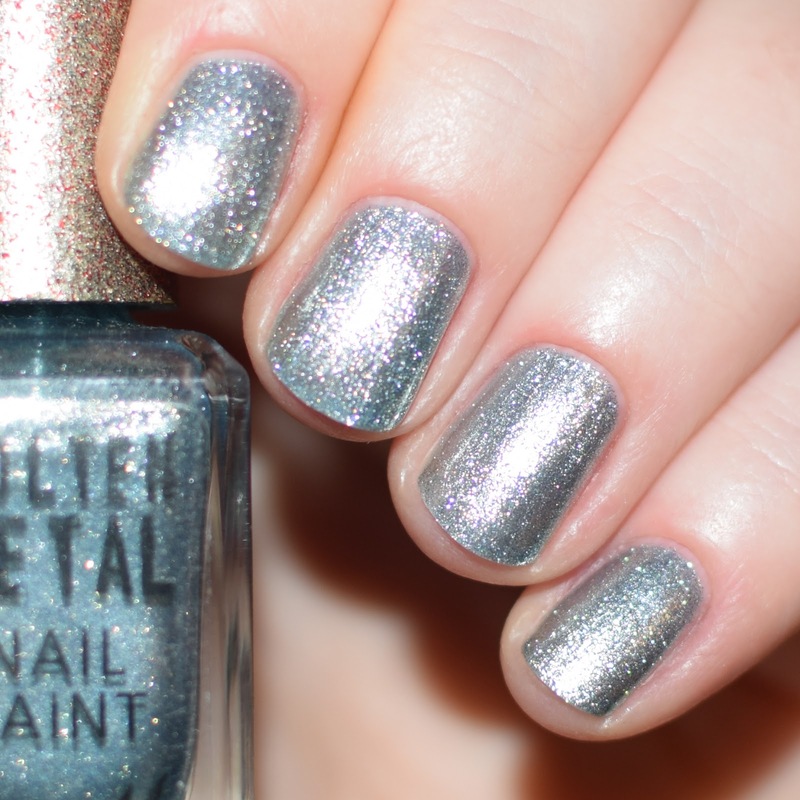 I adore blue nails and this is packed with a stunning bright blue/silver chrome and has an almost green tint in some lighting, and a great base for some wintery nail art designs. A stunning dark gun-metal black polish. This is stunning, I really like wearing dark nail polish, and I love black, but I rarely wear plain creme black polishes becauce I don't think it looks too good with my skin tone (I'm already as pale as a freaking ghost and pure black nails just intensify that). 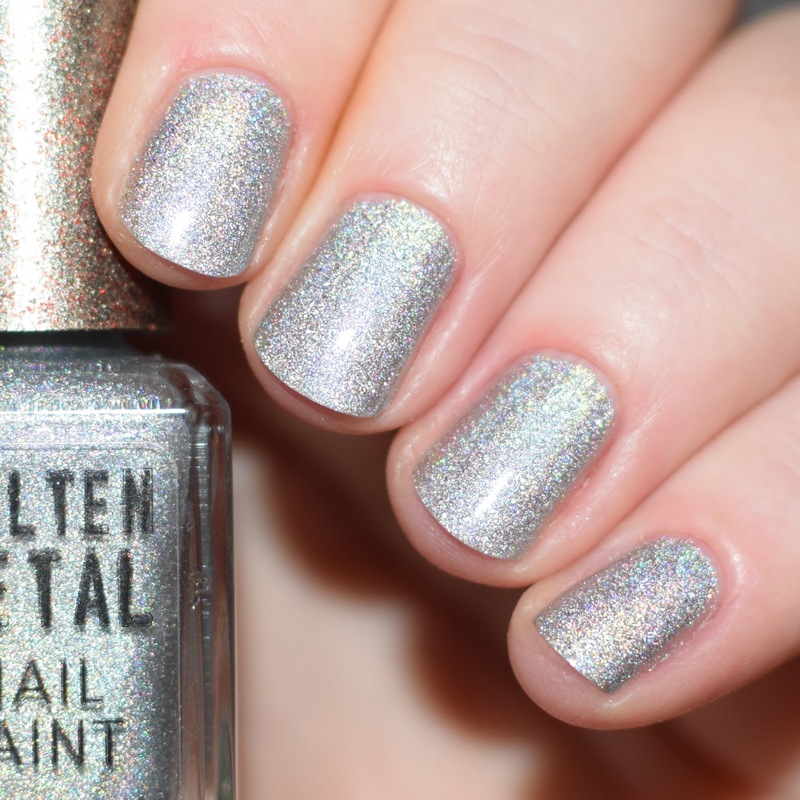 This though is perfect, dark enough to feel edgy and interesting but the stunning silver shimmer make my nails looking much more interesting and goes really nicely with my skin tone. This is the most pigmented of the whole collection, it was almost opaque in 1 coat. This is a cool pink polish, that I think is a great complimentary polish to wear with Blue Glacier. It is almost a rose-gold shade, but I do think I might prefer it if it lent a little more into a warm golden rose. 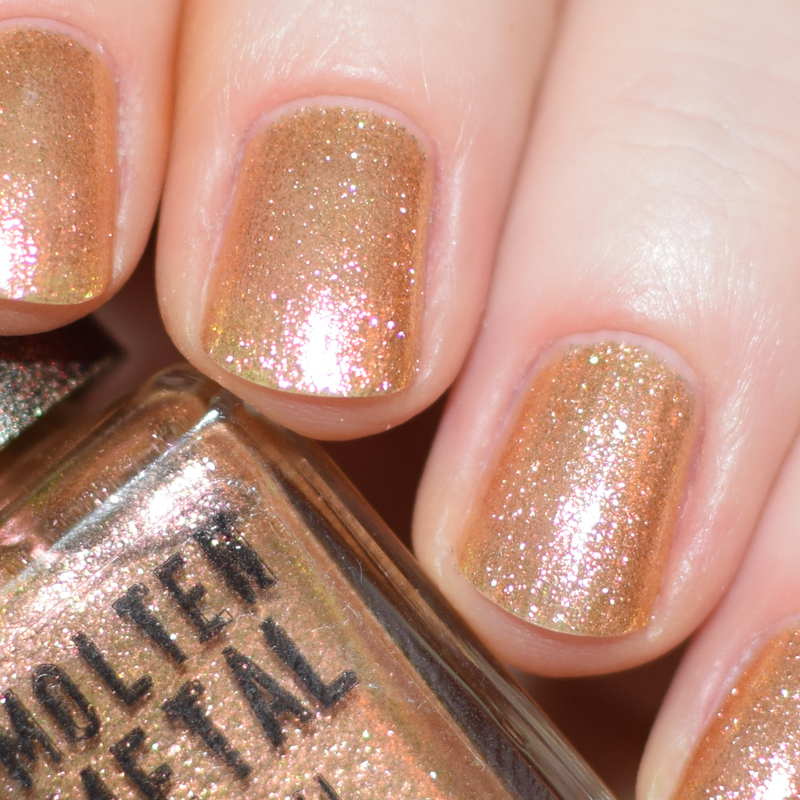 Saying that, I still think this polish is beautiful and I've worn it a few times. The first odd-ball of the collection (until the next one). This is not a shimmery chrome like the rest. 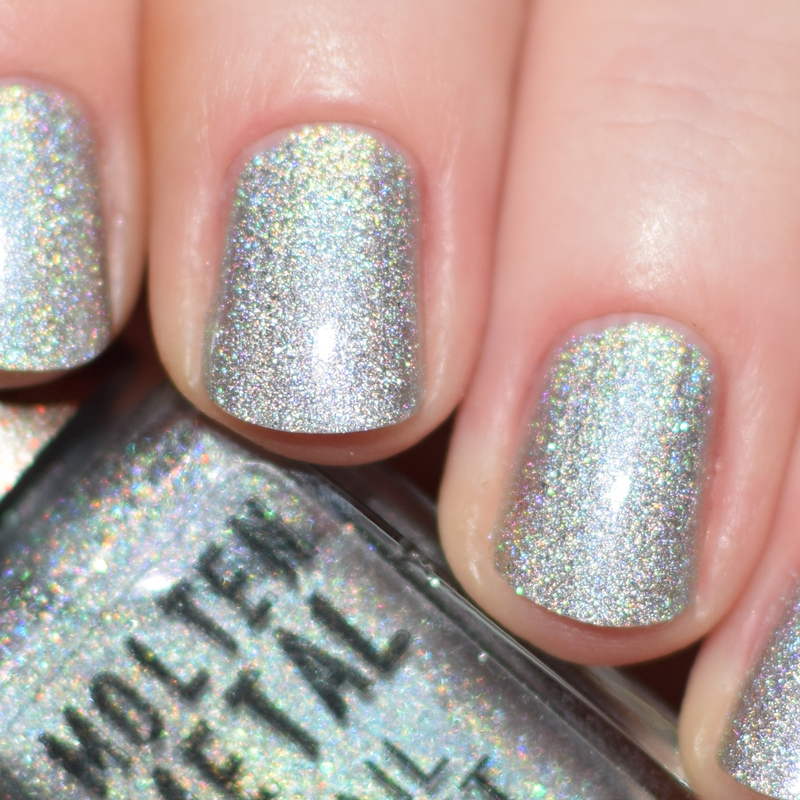 It is a silver linear holo. 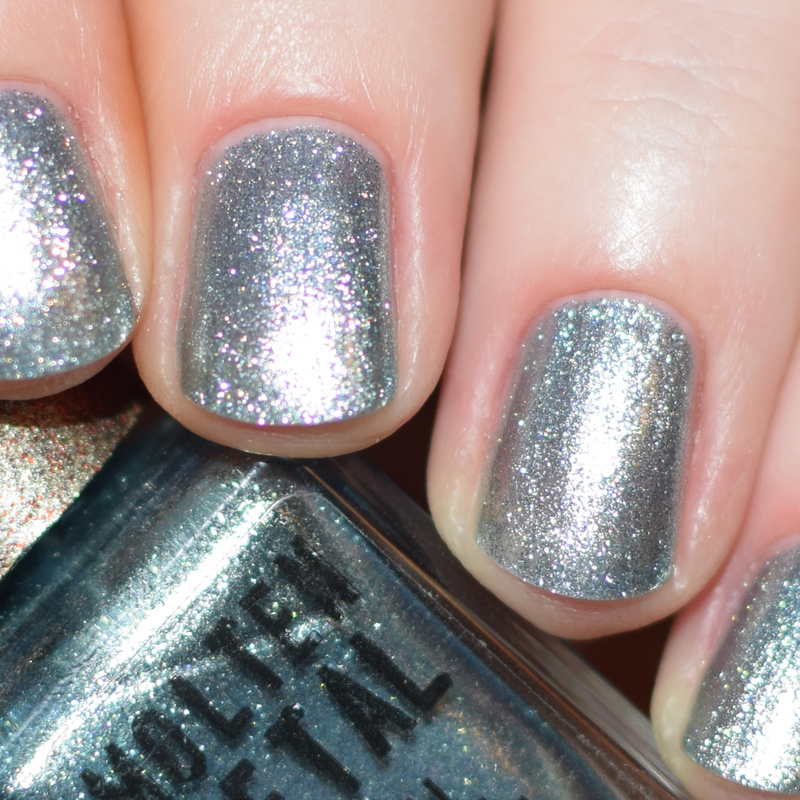 The micro holo glitter is in a grey jelly base, and that makes it very sheer. This is the only one of the swatches I had to wear 3 coats for. 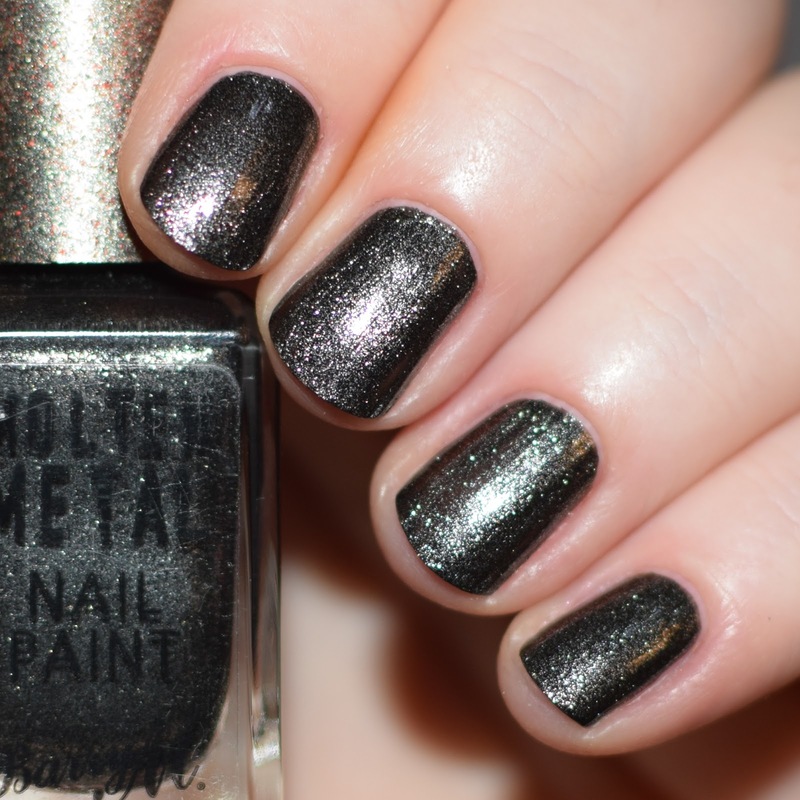 The sparkle in this polish is stunning and it looks great applied over a black creme base. Until this, Holographic Lights was the odd-ball. Then came Purple Frost. This is my absolute favourite of the entire collection. 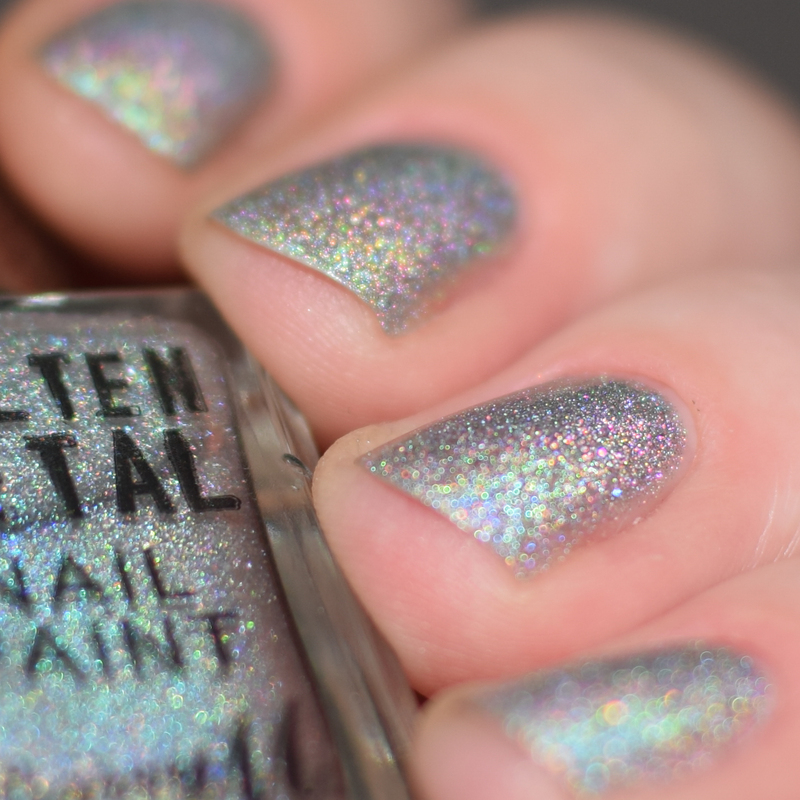 This polish was released as a single addition, a little while after the earlier polishes. I instant feel in love. This polish is so unique. 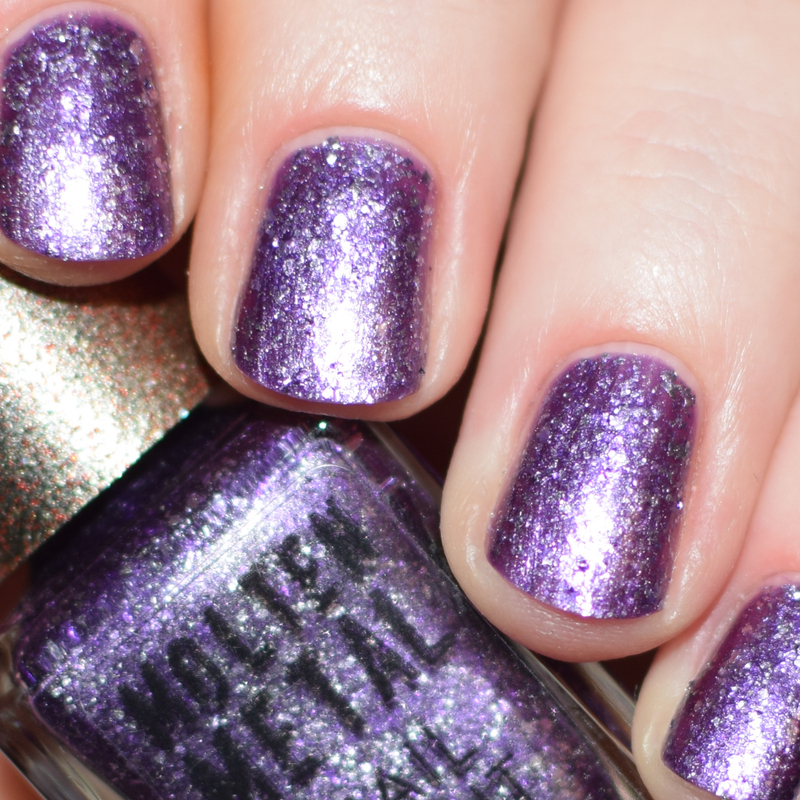 It's a vibrant purple shade (purple jelly base), and rather than a chrome shimmer, it is packed with silver foil flakes. 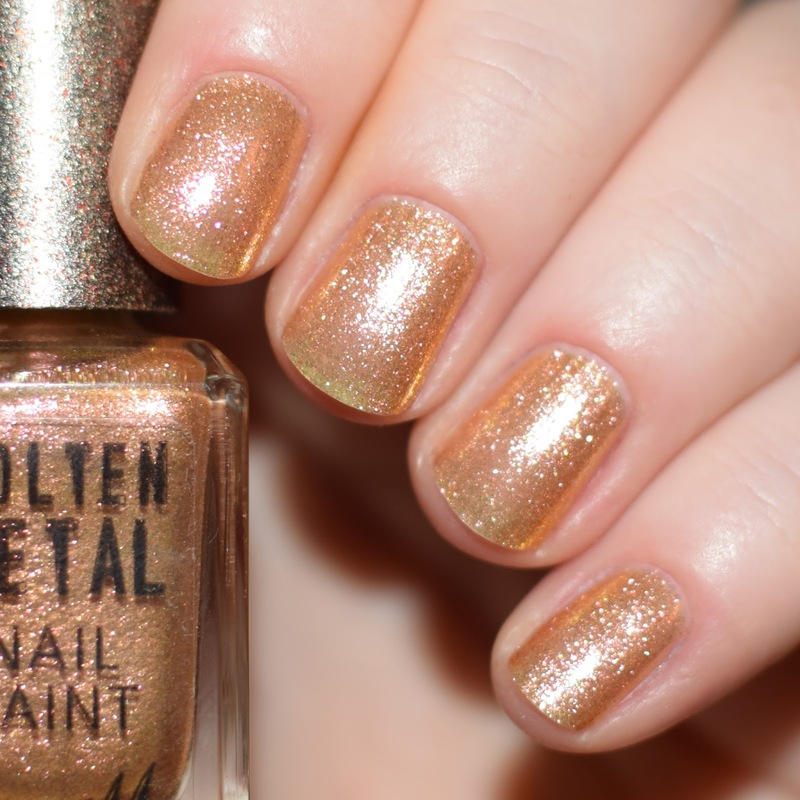 I can not put into words how beautiful this is and I desperately NEED Barry M to add to the Molten Metal collection with more shades like this. All of these polishes (except Holographic Lights) I wear with 2 coats, but if you have longer nails with more prominent nail lines then you might need more coats or to wear a base colour underneath. All of these polishes are a bit of a hassle to remove, but not too bad, Purple Frost however is the worst to remove and I would definitely recommend a peel off base coat with that one. I'm not wearing top coat on my swatches. Each of these polishes retail for £3.99. 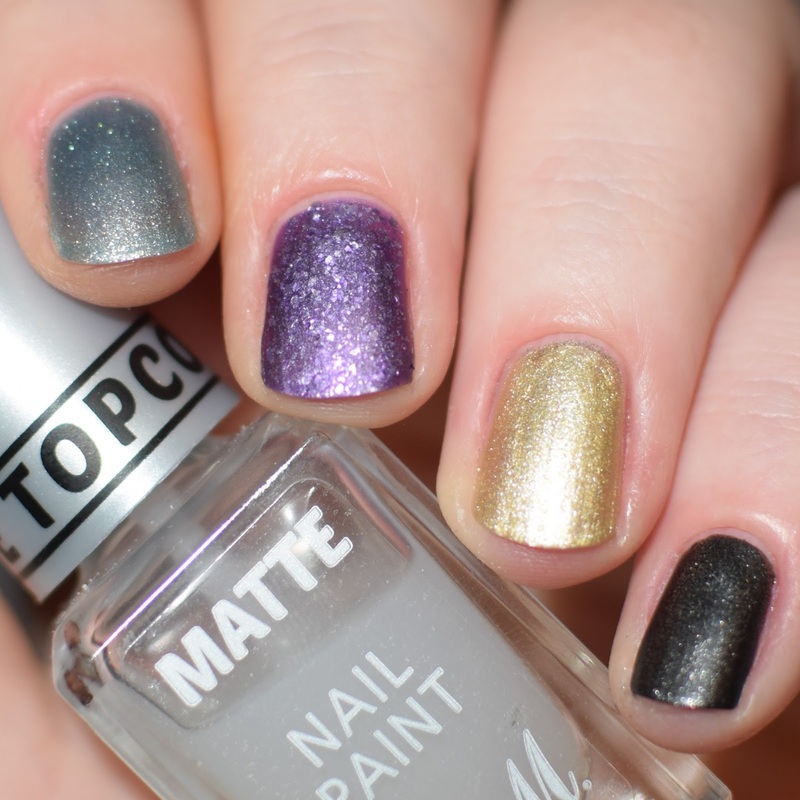 Oh, and barring Holographic Lights, I love the look of all of these polishes with a matte top coat too.